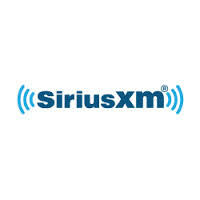 Satellite radio provider SiriusXM has announced a limited-run channel dedicated to the Coachella Music Festival. The channel will launch today at 2:00pm Pacific (April 11) and run through Wednesday April 28. You’ll be able to find nonstop coverage of the fest by tuning in to channel 18. From what I gather, the station will play music by Coachella artists leading up to the festival, and then exclusive interviews, backstage reports, and performances during the two Coachella Weekends. I assume Jenny LSQ and Julia “Cunningham” from XMU, as well as Regan from Alt Nation, will commandeer the event. You can anticipate those fake interviews where Jenny and Julia pretend to be into Joywave and Jeff Regan pretends to favor Deafheaven over Matt & Kim. It makes you want to puke, but we just keep on listening. All this fun that SiriusXM has planned over the next 17 days, I do year-round. Who’s given you nonstop Coachella coverage, who plays Coachella artists around the clock, and who’s idea was it to extend Reflection Day through Wednesday? …Me! Check out the festival broadcast schedule here.